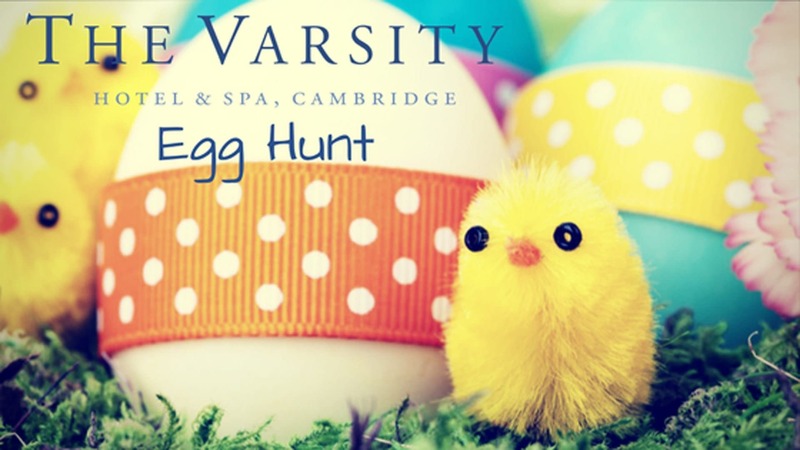 Win an overnight stay at The Varsity with our Easter Egg Hunt. To celebrate Easter we will be hosting the ultimate in-room egg hunt, offering one guest the chance to win a free overnight stay in the hotel’s Senior Fellows Suite if they find the hidden golden egg. On Easter Sunday, a range of specially curated chocolate Easter eggs will be concealed throughout the hotel’s 46 rooms for guests to hunt, with a special winning golden egg to be found. The guest who finds the elusive golden egg will be crowned champion and be able to redeem an overnight stay in the hotel’s luxurious suite, where they can enjoy stunning views of Cambridge from a private balcony, and relax under a monsoon shower. The winner and a guest of their choice will also have access to the hotel’s Glassworks Health Club, including the iconic Jacuzzi, which overlooks the River Cam, and is one of the most peaceful spots in all of Cambridge. Guests will also have access to the individual sauna and steam rooms, lit to make visitors feel like they are unwinding under twinkling stars. The next morning, guests can enjoy an ‘egg-centric’ brunch at SIX Brasserie, with classic dishes such as Eggs Royale, Eggs Benedict, Eggs Florentine or Smoked Salmon & Scrambled Eggs served on Sourdough Toast. For those who are looking to be more adventurous, the menu also includes Spicy Tomato Baked Eggs, which is served in a Homemade Spicy Tomato Sauce along with Sourdough Toast. The in-room Easter Egg hunt will be available for guests staying at the hotel on April 1, 2018, with the winner able to redeem their prize (excluding Fridays and Saturdays) until the end of November 2018. Room prices start at £255.00.